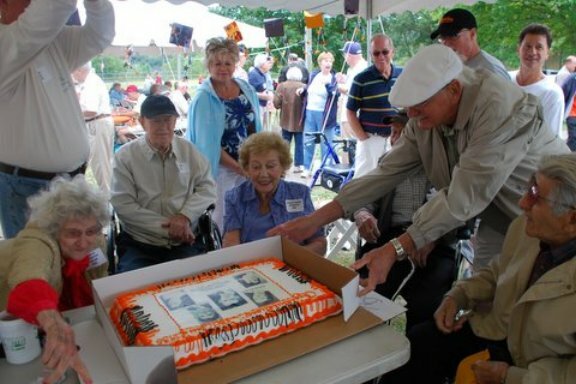 No.31, Martha Bickerton Shaver, J. Clark Leis, Jennie Prince Peterson, John Kohan (CHS'54) presenting the 1935 cake, Peter Gimiliano -1935 grads celebrating their 75th reunion. 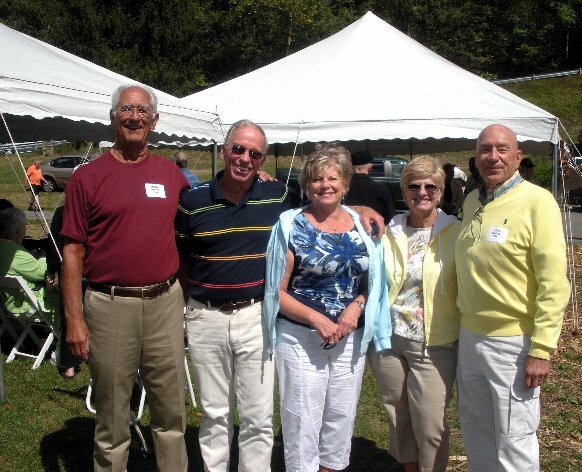 No.32, Hilda Moresea Walsh, Martha Bickerton Shaver, J. Clark Leis, Jennie Prince Peterson, Peter Gimiliano, Andrew Sivak - 1935 CHS Grads. 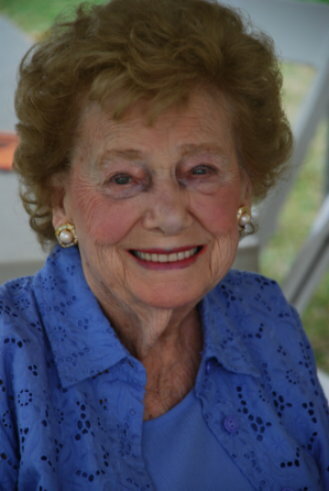 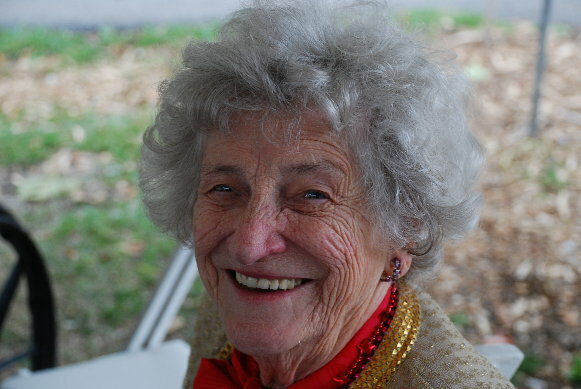 No.33, A radiant Jennie Prince Peterson enjoying her 75th reunion - CHS'35 grad. 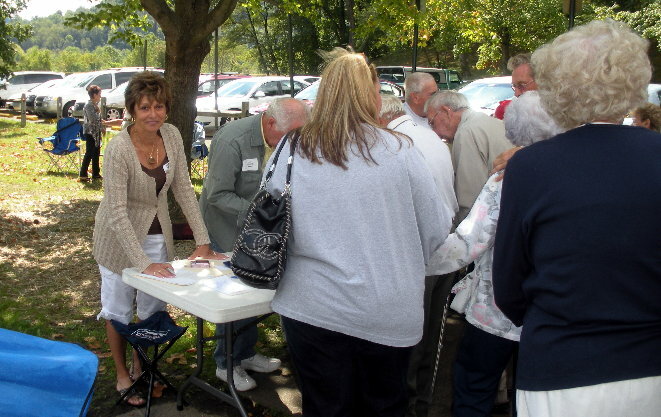 No.35, Check-in table, Dee Poziviak Martin (CHS'60). 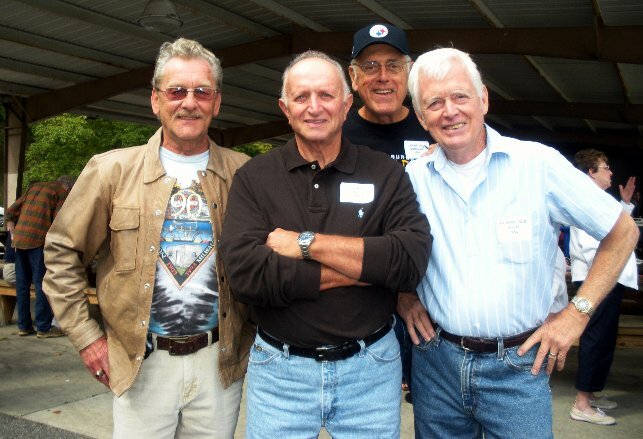 No.36, Shorty Sims, Denny Terzich (CHS'60), J. D. Gomolak, Buddy White. 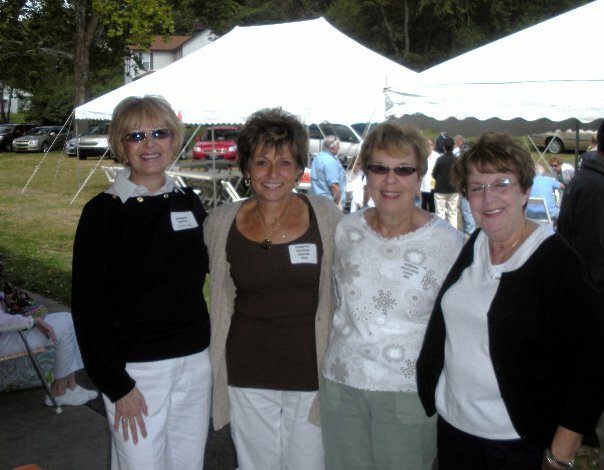 No.37, Barb Terzich, Dee Martin, ?, ?. 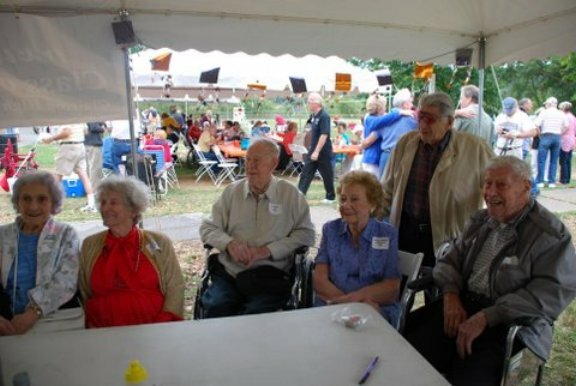 No.38, George Pacich, Kent & Gloria Glarner, Jackie & Toot Wargo (CHS'55). 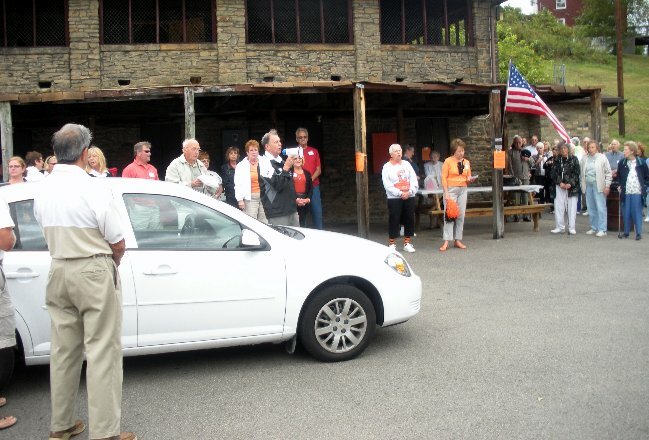 No.39, The crowd, with Ed Singing "God Bless America". 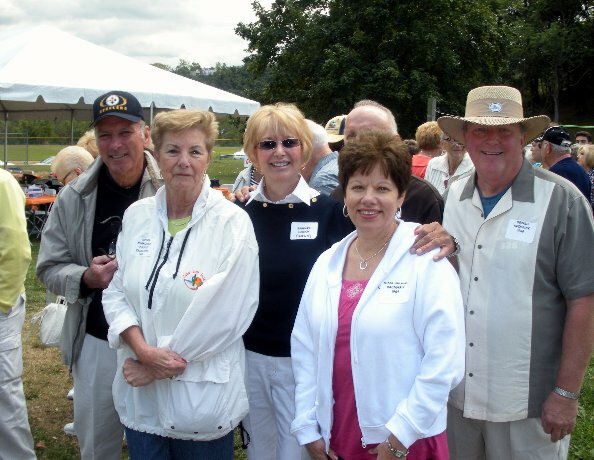 No.40, Joe & Cookie Tranchini, Barb & Denny Terzich, Nikki & Gerald Kacmarik.